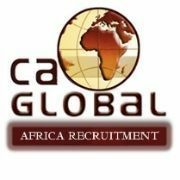 Our client is in need of a Branch Manager with a background in earth moving equipment and parts to join their team in Cape Town. Managing all operational aspects of the branch including customer service, human resources, administration, sales etc. Oversee all work performed in the branch and supervise all areas of operation. Tertiary qualification in Sales and Marketing or Business Administration. 10 years previous experience in earth moving equipment and / or parts dealerships, with a minimum of 5 years at Management level. Only candidates already based in Cape Town will be considered. Must have a hands-on approach and be committed to the expansion and success of the business by implementing strategies that increase productivity and enable sales targets achievement.